Okay, so it’s a real statement! 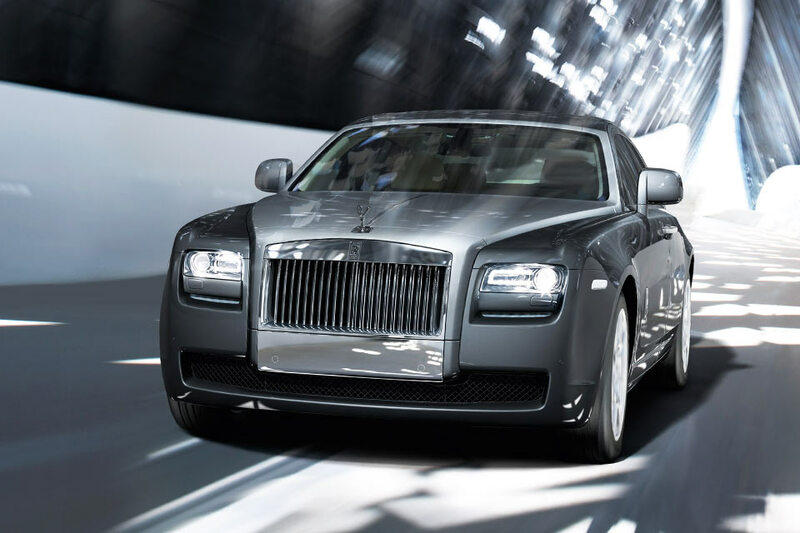 The Rolls-Royce Ghost is no mere shadow of the brand’s former glory, it’s the embodiment of the past and a glimpse into the future of this storied automobile maker. 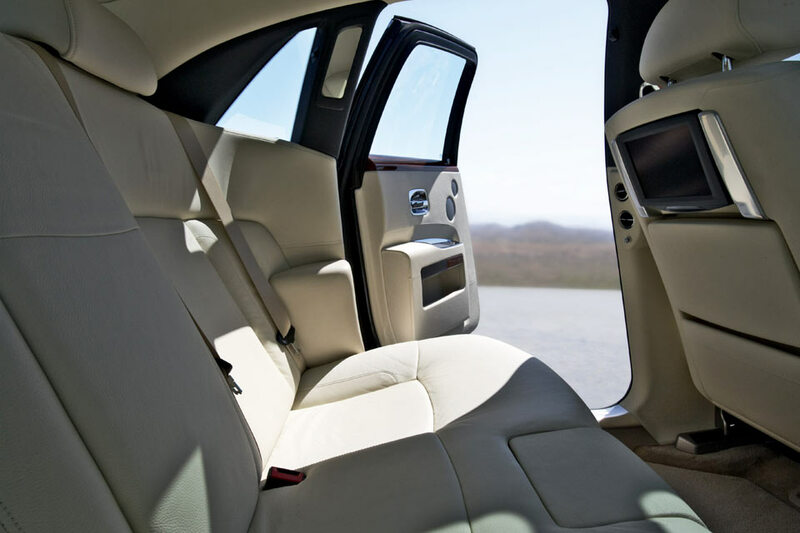 It’s difficult to picture Rolls Royce’s near demise as I’m driving along a sun-washed stretch of California’s Pacific Coast Highway in the Ghost, Rolls Royce’s super-luxe sedan. But along the way, unbeknownst to most luxury buyers, there was trouble. In the 1970s, Rolls Royce’s beleaguered jet engine division was swallowing up all the profits. And there was that pesky 1973 oil crisis which took out a few dolce vita drivers. 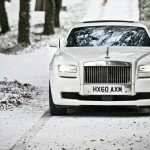 Rolls Royce, the car company, was being driven off a cliff. At the same time, manufacturers like BMW and Mercedes-Benz, and those pesky upstart Japanese luxury brands such as Lexus were turning heads with smaller and sleeker models. By the late 1980s, Rolls Royce, the world’s fanciest car famous for transporting the world’s fanciest people, was all but DOA. 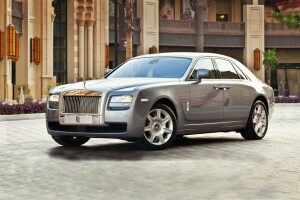 Aptly named, the Rolls-Royce Ghost I’m sitting in may not be an apparition, but it most certainly is back from the dead. 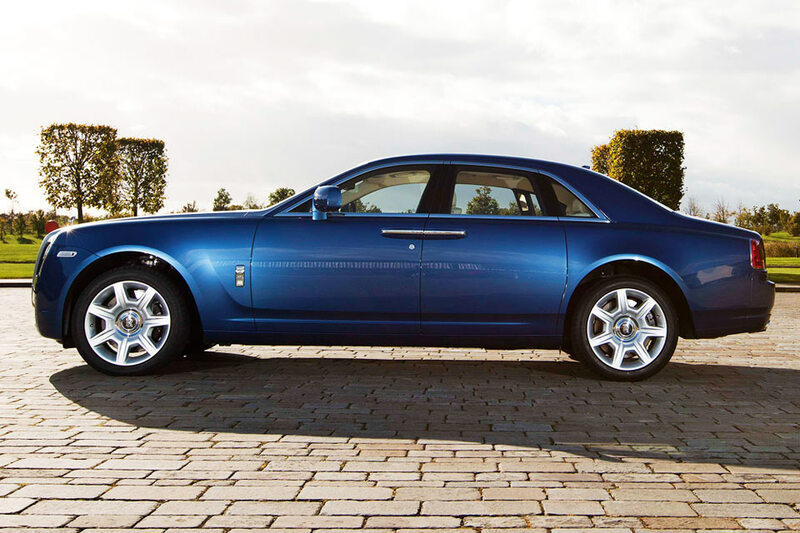 It’s RR’s second model following the successful 2003 comeback (which reprised the flagship Phantom model) under new ownership. We have BMW to thank for the resurrection of these beloved automotive spirits. This one is named after the Silver Ghost, which debuted more than a century ago in 1907. 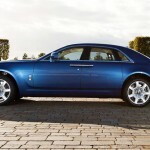 The German Automaker bought the Rolls-Royce brand for a mere 40 million Pounds. The purchase came with just a name. No factory, no workforce, no car. All of that had to be rebuilt from scratch. 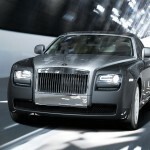 So it is with a critic’s eye that I approach the Rolls-Royce Ghost, searching for what might be missing that could tarnish the brand’s hallowed reputation. From the start, I’m skeptical because the car is expensive. At $245,000, it’s pricier than any model in its parent company’s line up, yet it is considered by BMW to be the entry-level Rolls. I take special care to touch and pull on everything, and listen for odd sounds because previous RR buyers had complained that under the marque’s former owners, things rattled and parts came loose in their hands. Would that still be the case? 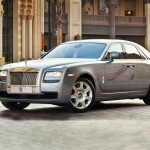 The Rolls-Royce Ghost is pretty, or more accurately, handsome. It’s strong looking, confident and commanding. But would it behave like a starved supermodel – gorgeous on the outside but hungry and empty on the inside? 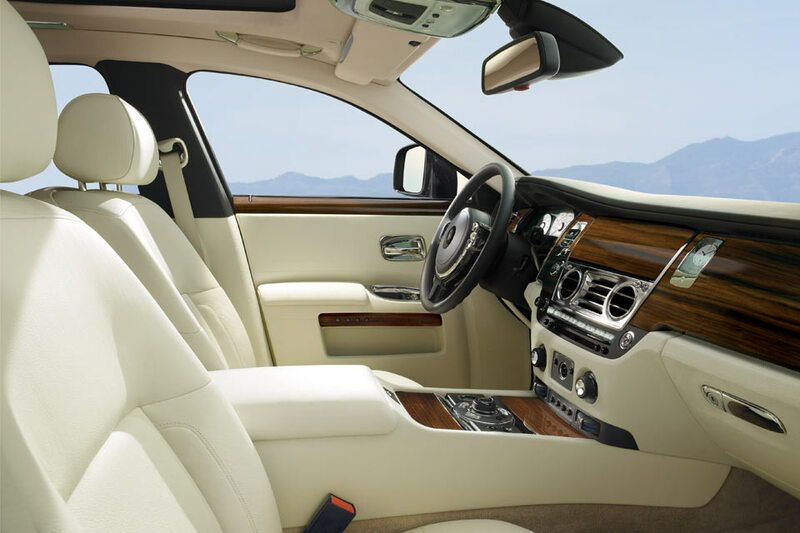 I’m snuggled in the plush driver’s seat, struck by the stitched-leather luxury of it all. I haven’t yet turned the ignition, instead taking in how this car can be at once trendy and classic, like a Louis Vuitton travel duffle or simple quilted Chanel handbag. 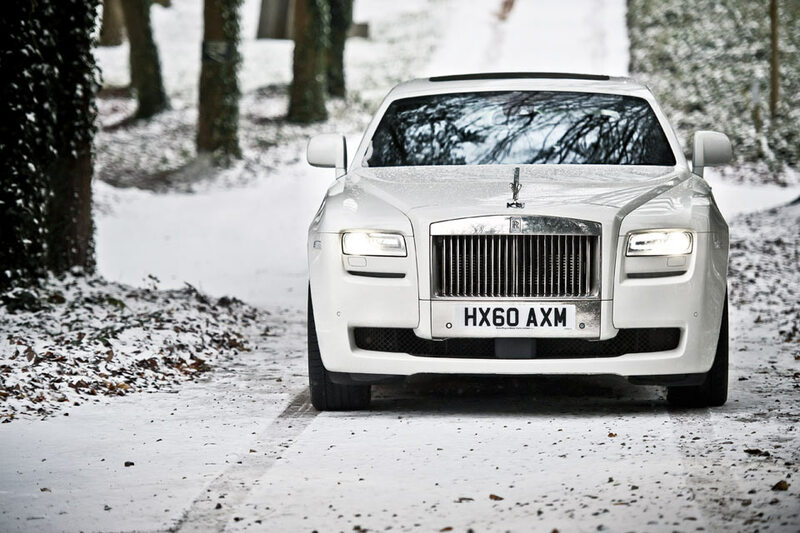 The Rolls-Royce Ghost makes a grand first impression. 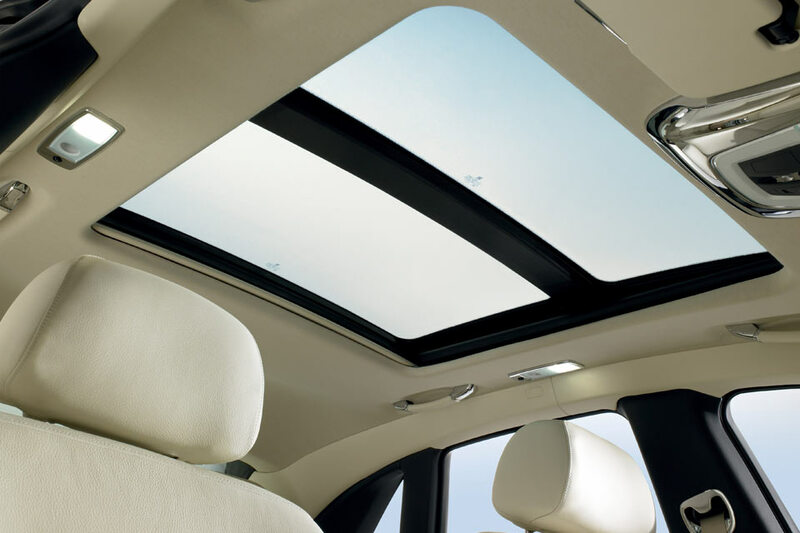 Nine colors of soft leather are available, with contrasting stitching, if that’s your thing, and there are five types of wood veneer offered for the trim. And just when I think I have seen everything this car has to offer, I find the most exquisite and insane luxury feature ever: a $19,600 custom-made picnic hamper. Crazy expensive! It unfolds like a magician’s secret treasure chest, with stainless steel boxes to keep food warm or cold, and specially designed crystal champagne flutes. Opening this hamper means that something really posh is about to be served. And it begs, please, don’t insult me with plebian Gray Poupon. Just to mention a few: Dual front side-mounted airbags; remote anti-theft alarm system; emergency braking assist; dusk sensing headlamps with high pressure washers; stability and traction control; emergency interior trunk release; passenger and driver head restraint whiplash protection system; tire pressure monitoring and it will even dry off its own brakes in the wet! Sure, if your last name is Carrington, Spelling, Ewing, Trump or Kardashian. Now I’m heading north on the coast highway, the sandstone-colored palisades on my right, the expansive Pacific on my left. I think there’s a surfer or two paddling through waves but I’m not entirely sure. There’s plenty of beauty right here – under my right foot, in my hands, cradling by body. This Rolls-Royce Ghost is a big, bad boy of a sedan. It’s 17 ½ feet long, just a foot longer than the huge Mercedes-Benz GL-Class. And it weighs 5,500 pounds, about 45 pounds less than the Mercedes SUV. In spite of its formidable size and mass, a tap on the gas pedal sends this creature into hyperspace. Where Mercedes’ GL550 lumbers from 0 to 60 mph in 6.4 seconds, the Rolls-Royce Ghost slips right past it in 4.9, about as fast as a small two-seat Porsche Cayman. The Ghost’s exceptional locomotion is courtesy of a maniacal 6.6-liter, V12, 563-horsepower engine that seems to disregard the Ghost’s heft, like Arnold Schwarzenegger tossing aside a 5-pound barbell. And what about fuel efficiency? Sorry Mercedes, the Ghost consumes less: 13 mpg city / 20 mpg highway to the GL550’s 12 mpg city / 17 mpg highway, and produces the lowest CO2 emissions in its class. At speed, traveling California’s winding coast-hugging Highway 1, it’s easy to feel the effort and expense that went into Ghost’s development. BMW’s fingerprints are all over this thing. In its taught handling, fantastic speed, sharp steering input and powerful, responsive brakes. But BMW has inserted its DNA backstage, away from where it’s obvious. 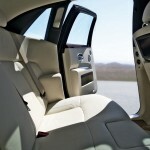 For instance, the Rolls-Royce Ghost’s electrical backbone is all BMW, as are pieces of its power train. While the Ghost comes pretty well kitted out at the base level, when you're spending $250k+ on your motor why not splurge on any of the following optional extras: Front Massage Seats; Seat Piping; Front and Rear Ventilated Seats; Presentation Key Box; Rear Auxiliary Climate Control; Individual Lounge Seat Configuration; RR Monogram Inlay - Door Cappings; Spirit of Ecstasy Inlay - Door Cappings; Stainless Steel Pinstripes; Black Cashmere Headlining; Universal Garage Door Opener; Contrast Interior Scheme; Comfort Entry System; Front Ventilated Seats; Contrast Stitching; Mono Interior Scheme; Accent Interior Scheme; Extended Leather & Door Pocket Lighting; Polished Stainless Steel Tread Plates; Rear Compartment Curtains in Black; Rear Window Curtains in Black; Color-Keyed Boot Trim; Leather Headlining Plus Extended Leather; Contrasting RR Monogram to All Headrests; RR Monogram to All Headrests; Lambswool Footmats; Picnic Tables; Rear Compartment Coolbox; Rear Theater Configuration; Active Cruise Control w/Stop & Go and Rear Massage Seats. Just one thing: For a car that commands attention, why the invisible name? Better it should be called Look. That the Rolls Royce badge is back with a vengeance. 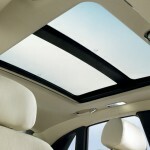 Did I mention the cashmere-blend roof lining?